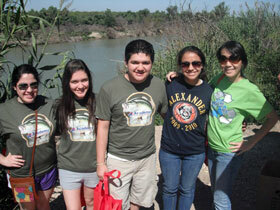 Big River Foundation, USA/Mexico Programs. Nothing engages like the natural world. We’re creating programs—funded by a grant from Texas Parks and Wildlife Department's Community Outdoor Outreach Program—for educators in south Texas to utilize the region's shared culture, biota and ecology to create compelling site-specific multi-disciplinary lessons that change how students view themselves and their world. Students will be challenged to identify local issues pertaining to conditions in their watershed including urban development and its effects on the ecology. What is the quality of the water? What life systems depend on it? What are the priority pollutants and what are their sources? What behaviors affect these issues? How can they be studied? What changes are needed to affect positive changes? Who can affect them? How can students influence decision makers? Long term studies will be updated by students each semester by collecting water samples from kayaks. Students may write letters to local representatives and press releases regarding their data, analysis and recommendations. 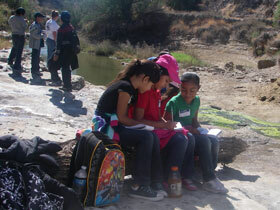 These interdisciplinary programs integrate Science, Math, English, Social Science, and Physical Education outdoors. In addition to training students as advocates and environmental stewards, their collective studies will constitute an on-going regional data base and citizen's science initiative. In interacting with their local watershed ecology, students gain a new connection with, and appreciation for, their natural environment. And they’re making a difference! White Bass (Morone Chrysops) are a beautiful silvery fish, known for their good fight, delicate flesh, and sheer abundance throughout Texas. Fisheries biologists have determined you can put 25 of them on your stringer every day without hurting the breed. And while careful game management helped the fish grow its original range from the Red River to almost every river in Texas in the last few decades, something mysterious happened to it on the Rio Grande. It disappeared. We are working to restore them at the benefit of the environment as well as the local cross-border economy. 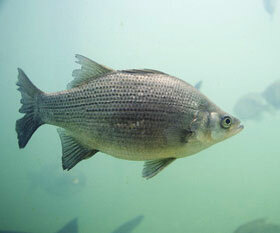 We are actively seeking aquatic restoration and fisheries experts with the inclination to lead up a white Bass reintroduction campaign for the Rio Grande; funding for a regional education campaign, lake re-stocking, and jobs creation plan to provide a means for retired Mexican fishermen to make a living; and identification of potential funders to move this project idea forward. 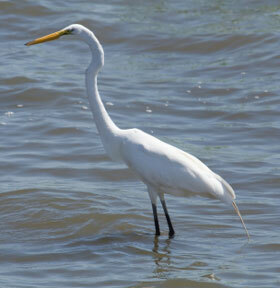 First we incubated Big River Outfitters, and now we’re working with the City of Laredo and Texas Parks & Wildlife Dept. (TPWD) on the Rio Grande Paddling Trail. 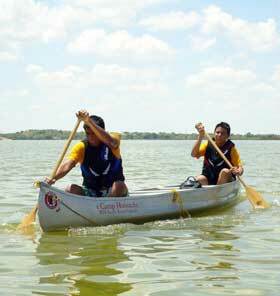 We’ve proposed our 6-mile Paddling Trail in Laredo to the TPWD with official support from the City of Laredo. With an additional put-in that adds an 11 mile leg, the total length of the Paddling Trail is 17 miles. 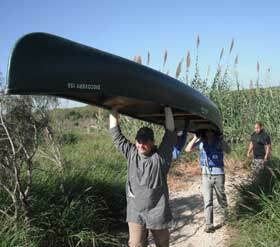 This paddling trail is already in use; however, the pending application with TPWD would allow inclusion in its state-sponsored paddling trail marketing program. Along the Paddling Trail there are many cooperative and environmentally conscious infrastructure improvement opportunities, as well as plant, wildlife and habitat restoration projects and education opportunities. The Rio Grande Paddling Trail presents opportunities—for the City, TPWD, educators, businesses, volunteers, non-profits, and community—to celebrate, value and protect our rivers and watersheds. Funded by a grant from BECC (Border Environment Cooperation Commission), the Urban Waters project creates educational experiences and curricula involving water monitoring. 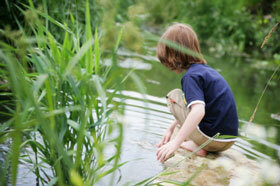 Through this project, we help the community to value the vital role its river plays in the web of life. This project will help establish a robust culture of scientific exploration on the Rio Grande; facilitate festivals, programs, and events which address the environmental, ecological, economic, and social benefits of the river; communicate the importance of protecting rivers from development for short-term economic gain; ensuring the community understands why watersheds are vital natural resources, without which life is impossible over the long-term. This project will expose about 400 Laredo students and several community groups to the issues of water quality in the Rio Grande. Simultaneously, they will experience the region’s water bodies in a context of recreation. Combined, these activities will foster an appreciation and an understanding of the River and its associated health issues. 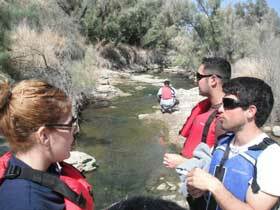 We have identified an unmet need in experiential, nature-based learning in Laredo and have developed the substantive content of curricula to address water quality and watershed educational gaps identified through research. Our educational programs have been implemented to benefit at least 400 students during the life of this project, refining the curricula along the way. We actively support and facilitate local river festivals and events on the Rio Grande, in Mexico and Texas, to foster awareness and appreciation of river ecology, and to promote cross-border watershed initiatives. We caravan to the Rio Nazas Regatta, a 90-km 3-day race where paddlers compete for carbon-fiber paddles and glory, and recreational paddlers can enjoy the ride (with camping, hot showers, food and massage provided by the race hosts). The caravan departs the Rio Grande Plaza for the Sierra Madre mountains in Durango, Mexico. The Regatta is 48-years old, yet 2012 is the first year U.S. paddling professionals will make the journey, along with U.S. media, to document ongoing bi-national initiatives we are implementing to cross-pollinate paddling events like RioFest and Texas Water Safari in Texas with similar events in Mexico, to create a Mexican/American paddling community. 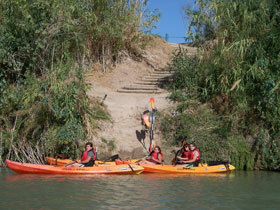 We will be launching a spring race and river festival on the Rio Grande for 2013 and assisting neighboring communities to develop their own river events. 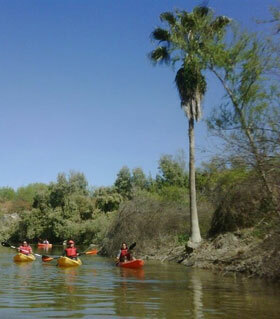 The foundation works with Laredo's Convention & Visitors Bureau under a Memorandum of Understanding to promote paddle sports and kayaking events on the Rio Grande, helping to bring visitors to Laredo to enjoy its historic river, culture, and wildlife. Three small lakes, miles of shady trails and 200 acres of park land lay at the geographic center of Laredo and Nuevo Laredo. Between Laredo Community College and our offices at the Rio Grande Plaza lies Riverbend Park. Together with equivalent green space in Mexico, a stone’s throw across the Rio Grande/Rio Bravo, it represents the potential international peace park suggested by Tom Miller, Director of the Lamar Bruni Vergara Environmental Science Center. Current activities include our WALKstrong morning and evening riverside walks, a June 17 "Fundadores" cross-border run commemorating the establishment of Nuevo Laredo across the Rio Bravo at the end of the Mexican-American War, trail building and habitat restoration, and initiatives focused on park development funding. Anyone interested in activities at Riverbend Park are invited to call Eric Ellman at 956-209-1879. Big River Foundation is working with educational and government organizations on Riparian Habitat Restoration along Laredo’s new Rio Grande Paddling Trail. Hurricane Alex destroyed Laredo’s riverfront in July 2010 with floods forcing the Rio Grande above 50-year levels. Parks remained underwater for weeks, killing most habit along the river. Our organizations are planning a coordinated effort to restore once-beautiful riparian habitat on the banks of the Rio Grande and improve the kayak/canoe put-in and take-out areas for Laredo’s Rio Grande Paddling Trail. This project also supports ongoing efforts by project partners, including U.S. Border Patrol, to reclaim the Rio Grande in Laredo as a valuable natural resource enjoyed by the community, visitors, and wildlife. Finally, it will improve the image of the Rio Grande and Laredo during quarterly community kayak races held at Laredo Community College, and Laredo’s annual RioFest, a professional kayak race which attracts international participation and media attention. Big River Foundation will coordinate project funding, participate with personnel (staff and volunteers such as Boy Scouts, Girl Scouts, and High School Environmental Club members) and facilitate additional resources that may be needed throughout the life of the project.